With the acquisition of the M/V Diamond, things were looking hopeful. The crew of Sub Sea Research could finally go down to Haiti and work on recovering some of the wrecks that they were incapable of getting with the Silver Seas. The Diamond was a much larger ship that could handle such far travels, and it could hold more equipment for recovery. They pursued several of the wrecks they were looking at before, and even found a couple of new ones. One in particular was a very wealthy wreck, encrusted in coral. They found some swords with emeralds and rubies in the handles, and stacks of coins embedded in the coral reef. While this was all exciting, it was important that they followed the letter of the law all the way. The crew was beginning to understand how hard this would be in Haiti. The government was unstable, and so a deal would be made just to have it not matter anymore when the government shifted to some new entity. Sub Sea Research made deals with four different government entities, all of which were temporary. These unstable governments had some corrupt components, which would end up being a great disappointment to the crew. Some of the government officials would not let Sub Sea recover any treasure without a huge upfront payment. This was impossible, since most of the money would come after pulling up the cargo. One of the governments agreed to let Sub Sea pull up a few items first, so that the shipwreck could be dated and/or identified. The government wanted to keep the items in custody, and said they would give them back at a later date as long as they saw some of the money from the excavation. Unfortunately, they did not uphold their end of the bargain and took the items from Sub Sea before they could be properly dated. It was a disappointment, but Haiti was looking to be too unstable for any sort of lasting deal. Despite the help of Haitian lawyers working for Sub Sea, the deals just didn’t work out. Most of these shipwrecks are still sitting in Haiti’s waters to this day. As always, it wasn’t a total loss. The crew formed many lasting friendships with Haitian people. 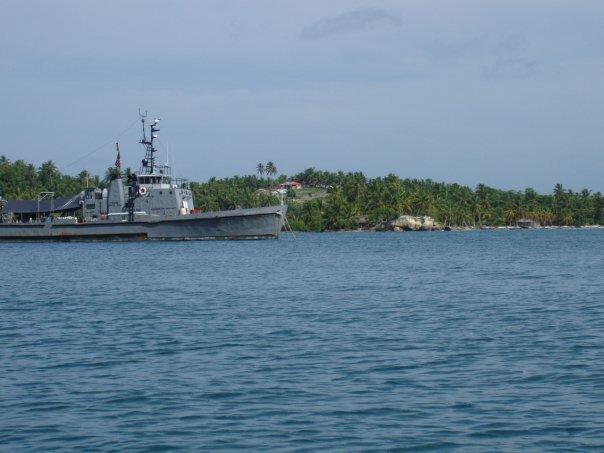 It was during this trip to Haiti that Sub Sea started hiring locals to work aboard the ship. The job market in Haiti was very poor and most of the local jobs provided little money for grueling full-time work. Sub Sea needed help aboard the ship, and so many Haitian men and women jumped at the chance. Some helped to keep the ship clean or kept guard at night, others were stewards. There were a few men who expressed an interest in diving, and so they were taught to scuba dive and work alongside the American crew to recover the shipwrecks of Haiti. They were very much needed, particularly to communicate with fishermen of the area. Many of the fishermen were skeptical about Americans and didn’t want to talk to them. It was important to keep these communications open, because often fishermen are the ones who know exactly where the shipwrecks of the area are. Having a Haitian crew member approach the fishermen was a better idea, and so many of the locals also served as translators, overseers and messengers. These Haitian crew members became like family to Sub Sea, and it was very hard when the M/V Diamond finally had to head back to Maine. Some dedicated Haitian crew members got temporary work Visas, so they could stay on as Sub Sea employees in America. However, Visa limitations prevented them from staying for too long. The American crew members miss their Haitian friends dearly and still stay in touch with them. Felix Vital, a former Sub Sea employee, brings Haitian tourists on diving expeditions to this day. Greg Brooks says he would love to hire them back, provided he was back in Haiti or that they could legally work in America. 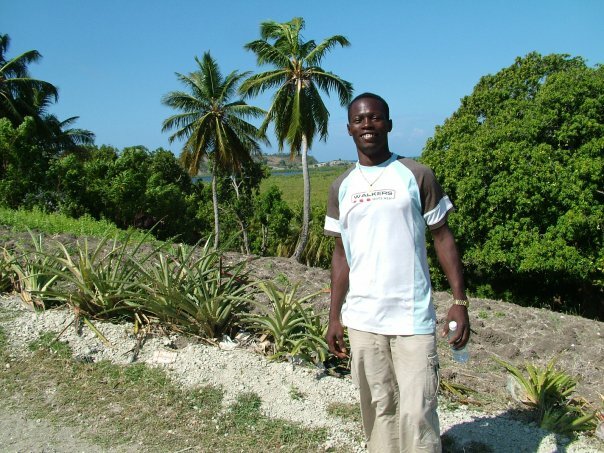 He hopes someday soon to return to Haiti, the place where all his treasure hunting dreams began.